Last edited by DistantLand; May 19th, 2009 at 14:14.
hahaha what kind of good choons. Welcome to Club Nights, today on the tracklist Super 8 and Tab, Mind X, and Micha Poliak. join the forums for the full tracklist. first track is Roger Shag and Tenishia featuring Lorilee, you're so cool. 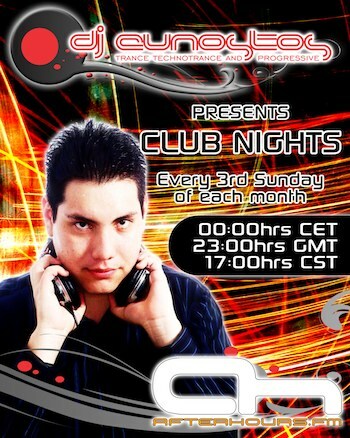 this is Club Nights Episode number 5 on After Hours FM enjoy! Turn up the volume everyone!!! !